MERINO research organisation MerinoLink has appointed well-known shearing contractor sector leader Jason Letchford as its new chief executive officer. 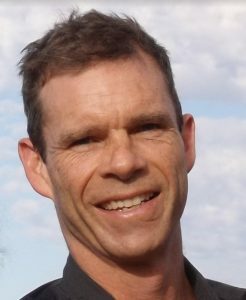 Mr Letchford, 49, has been secretary-treasurer of the shearing industry’s peak body, the Shearing Contractors Association of Australia since 2004 and will maintain the part-time position. Mr Letchford believes there will be synergies between his two roles in the areas of research and extension. Mr Letchford said he aimed to grow MerinoLink sustainably and appropriately as the new CEO. He replaces sheep industry consultant Sally Martin at MerinoLink. She has taken on the role of project manager and technical advisor, supporting the current and future MerinoLink projects and trials. Mr Letchford, of Sydney, spent his formative years growing up in shearing sheds as the son of a shearing contractor and wool classer. The graduate of the University of Queensland initially worked for London-based foreign exchange broker, MW Marshall, and then as a trader at the Sydney Futures Exchange. Mr Letchford then moved into the accounting industry, working for chartered accountants, Page Harrison & Co, as financial controller for an IT firm, as chief financial controller for a business consultancy and finance director of a sports brand licencing agency. Mr Letchford said MerinoLink is already a strong brand in agricultural research thanks to the efforts of Sally Martin, her team and the board. Mr Letchford’s busy year begins with the annual autumn field day on March 15 at Temora, the Peter Westblade Scholarship presentation on April 4 and the annual conference and field day at Armidale on June 19 and 20. “These events will be a great opportunity for me to meet the industry stakeholders and understand their needs and objectives, so MerinoLink is well positioned to deliver on them. “I am really excited about the opportunity to work with people like Sally Martin and Richard Keniry,’’ he said.